Google’s Chrome browser is one of the most popular in the business, and despite not having been around for as long as the likes of Mozilla’s Firefox or Microsoft’s Internet Explorer, the continual updates from the GOOG’s famously dogmatic development team have made it hard to resist for many Web users. 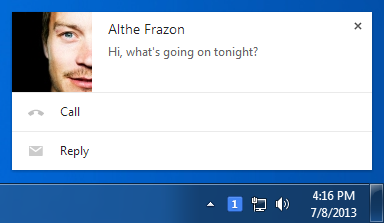 Today, Chrome for Windows has been given an update, bringing forth the improved pop-up notification interface as first previewed in the beta. At this point, only the Windows version sees the updated version, but the search giant has noted that the corresponding Mac iteration is imminent. Many people tend to operate more than one browser at a time on their computers, and although I do have an affinity to Mozilla’s Firefox due in part to its lack of a corporate backing, I have to admit that in terms of features and functionality, Chrome has become my primary Web-surfing client. 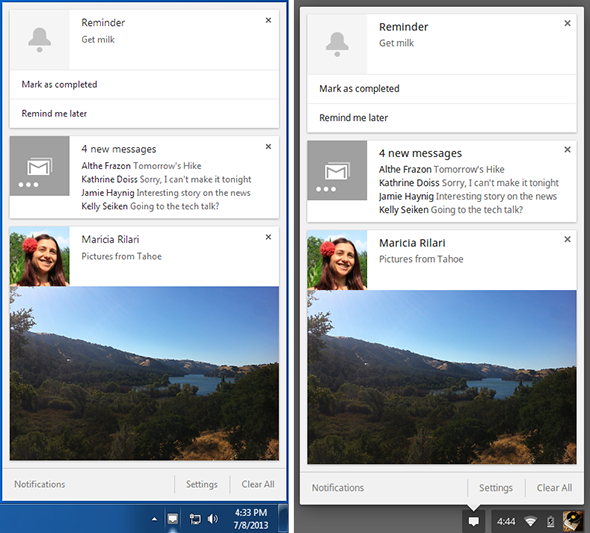 The update offers the usual array of bug fixes and performance enhancements, with the clincher being the richer pop-up notifications, which now feature both text and images. Since one can also perform actions within these notification panels, one will not need to jump out of a window in order to respond to a notification; a sure-fire win for productivity. If you pop off to make a cup of coffee and happen to miss a few notifications, you can readily check them all in one go, so you don’t end up with the nasty backlog that can often build up with notifications. And hey, if you don’t want to deal with them whatsoever, you can easily disable them from within the settings, meaning you can enjoy uninterrupted concentration on the task in hand. This latest update is only for users of the Windows variety, but the blog post detailing the update notes that the OS X version will be hitting the download servers "soon." Knowing Google’s promptness in delivery, it could well manifest itself in the next day or two, but whatever the case may be, we’ll be sure to let you guys know as and when the new Chrome for Mac is dropped. You can update your Windows version right now by checking for updates within the browser window, or simply heading to google.com/chrome .